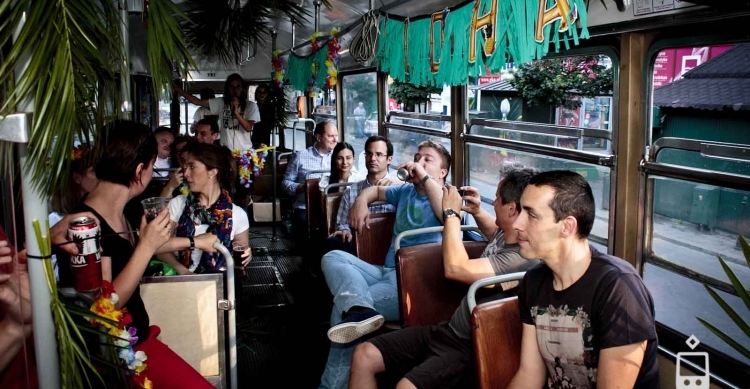 TRAM PARTY » About Us » Need to organise a corporate party in Krakow? There is also a chance to hire us just to organize a before party and bring all the people to the club. This sort of “taxi tram” can pick up people along the way and have them delivered to the meeting place with a nice atmosphere on board. We try to make each ride personalised so please call us or write to us to get the full image and the details.